"Undocumented Student's Arrest a Cautionary Tale" was first published by The Texas Tribune, a nonprofit, nonpartisan media organization that informs Texans — and engages with them — about public policy, politics, government and statewide issues. Almost seven years ago, Raul Zamora, a 19-year-old University of Texas at Austin student, was driving down Robert Dedman Drive when campus police pulled him over for a broken taillight. They discovered there was a warrant out for Zamora over an earlier unpaid traffic ticket. Booked into the Travis County jail, his fingerprints were forwarded to U.S. Immigration and Customs Enforcement officials, a routine procedure at the time to identify arrested people who are in the country illegally. Within days, Zamora found himself in the South Texas Detention Facility in Pearsall on the brink of deportation. Zamora's parents had brought him to the United States from Mexico when he was 10, and Central Texas became his home. He went to a Catholic high school in Austin and earned a two-year soccer scholarship at Our Lady of the Lake University in San Antonio before arriving at UT in 2009 to major in urban studies. Though he was not ultimately sent back to Mexico, it would take Zamora three years to untangle the legal mess that began with his traffic stop. His story is one immigration rights activists point to as a cautionary tale — without safeguards, federal programs designed to catch dangerous immigrants and undocumented criminals can just as easily sweep up college students with broken taillights. Because of changes in immigration policy made in 2014, it’s unlikely that a student in similar circumstances now would face the battle Zamora did. But with border security and immigration policy roiling the 2016 presidential election, there's no way to predict which way the political winds will blow. Zamora's case is one example of how the since-abandoned federal Secure Communities deportation program turned many students’ lives upside down, said Denise Gilman, director of UT’s immigration clinic, which represented Zamora. The program allowed federal immigration authorities to determine a person's immigration status by receiving fingerprints taken in local jails even before those arrested were criminally charged. The program, largely dismantled in 2014, was opposed by liberal and immigrant activist groups and supported by conservatives. Zamora’s detainment caught statewide attention, and a petition to stop his deportation garnered thousands of signatures. The immigration clinic was able to talk federal prosecutors into freezing his removal proceedings in 2012. Zamora later qualified under the Obama Administration's Deferred Action for Childhood Arrivals, or DACA, which allows children of immigrant families who do not pose a threat to national security to apply for work permits. In 2012, DACA was transformed to allow people who came to the United States as children and met certain guidelines to request consideration of deferred action. In Zamora’s case, the immigration clinic had “to beg and plead” when trying get him out of deportation proceedings, Gilman said. The soon-to-be husband and father says he’s put the experience in the rearview mirror, although his case will have to be reopened before he can move forward to obtain full citizenship. But Jon Feere, legal policy analyst at the Center for Immigration Studies, said he is less sympathetic toward Zamora's parents who overstayed their tourist visas. 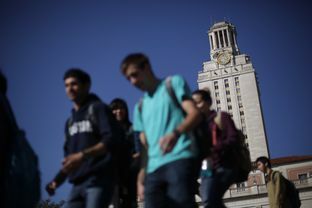 About 300 undocumented students currently attend the University of Texas. "It's not unreasonable for Americans to expect foreigners to respect our system of laws," Feere said. "Once that trust is broken, it is very difficult to rebuild, but returning home and attempting to enter legally in the future might be a good place to start." To avoid these situations, Feere said he thinks ICE should return undocumented immigrants home at the first opportunity. At the UT-Austin, International Student and Scholar Services provides support to students who are not U.S. citizens or permanent residents, including undocumented students, according to program coordinator Meghan Merchant. Immigration status is not a barrier to admission in public higher education in Texas, and students who meet the criteria for Texas residency are also eligible for in-state tuition rates and can apply for state financial aid. 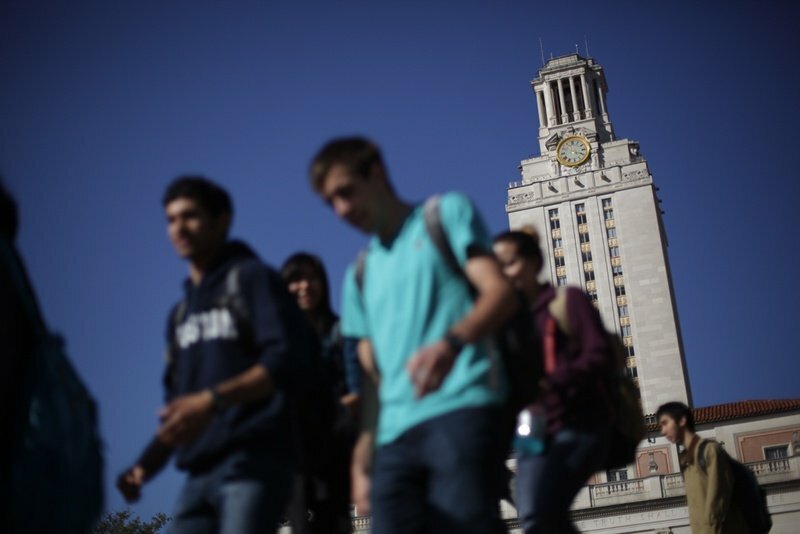 About 300 undocumented students currently attend the University of Texas, according to the school’s international office. Zamora’s deportation scare was unusual because he was such a well-rounded student, Gilman said. “He had so many equities in his favor — a smart young student, really wanted to contribute to the community — and yet he was dumped into deportation proceedings,” Gilman said. With a work permit under the DACA program, Zamora is now on track to become a U.S. citizen. At the moment, his case is administratively closed and will have to be reopened before he can gain citizenship. Zamora is currently the operations manager at CRT Flooring in Austin and is just a few classes shy of earning his degree, but he hopes to eventually finish school. He is set this month to marry his fiancée, a U.S. citizen who's been his best friend since middle school. They are expecting a baby boy, and Zamora said his son won’t grow up without knowing what his father went through to stay in this country. Undocumented Student's Arrest a Cautionary Tale By Nicole Cobler February 14, 2016 The Texas Tribune is taking a yearlong look at the issues of border security and immigration, reporting on the reality and rhetoric around these topics. Sign up to get story alerts. Almost seven years ago, Raul Zamora, a 19-year-old University of Texas at Austin student, was driving down Robert Dedman Drive when campus police pulled him over for a broken taillight. They discovered there was a warrant out for Zamora over an earlier unpaid traffic ticket. Booked into the Travis County jail, his fingerprints were forwarded to U.S. Immigration and Customs Enforcement officials, a routine procedure at the time to identify arrested people who are in the country illegally.&nbsp; Within days, Zamora found himself in the South Texas Detention Facility in Pearsall on the brink of deportation. “When you’re there in this detention center and you hear all these stories, everybody knows what’s coming for them,” Zamora, now 26, recalled recently. “I knew [deportation] was a possibility.” Zamora's parents had brought him to the United States from Mexico when he was 10, and Central Texas became his home. He went to a Catholic high school in Austin and earned a two-year soccer scholarship at Our Lady of the Lake University in San Antonio before arriving at UT in 2009 to major in urban studies. Though he was not ultimately sent back to Mexico, it would take Zamora three years to untangle the legal mess that began with his traffic stop. His story is one immigration rights activists point to as a cautionary tale — without safeguards, federal programs designed to catch dangerous immigrants and undocumented criminals can just as easily sweep up college students with broken taillights. Because of changes in immigration policy made in 2014, it’s unlikely that a student in similar circumstances now would face the battle Zamora did. But with border security and immigration policy roiling the 2016 presidential election, there's no way to predict which way the political winds will blow.&nbsp; Read More"Criminal Aliens" Flashpoint of Border Security Debate Zamora's case is one example of how the since-abandoned federal Secure Communities deportation program turned many students’ lives upside down, said Denise Gilman, director of UT’s immigration clinic, which represented Zamora. The program allowed federal immigration authorities to determine a person's immigration status by receiving fingerprints taken in local jails even before those arrested were criminally charged. The program, largely dismantled in 2014, was opposed by liberal and immigrant activist groups and supported by conservatives. “There have been huge shifts in the way the [Obama] Administration has handled cases like this one involving young people who have strong ties to the U.S.,” Gilman said. “That doesn’t mean that those picked up by police don’t get sent to deportation proceedings, but it’s not as widespread as it was when Raul was picked up.” Zamora’s detainment caught statewide attention, and a petition to stop his deportation garnered thousands of signatures. The immigration clinic was able to talk federal prosecutors into freezing his removal proceedings in 2012. Zamora later qualified under the Obama Administration's Deferred Action for Childhood Arrivals, or DACA, which allows children of immigrant families who do not pose a threat to national security to apply for work permits. In 2012, DACA was transformed to allow people who came to the United States as children and met certain guidelines to request consideration of deferred action. In Zamora’s case, the immigration clinic had “to beg and plead” when trying get him out of deportation proceedings, Gilman said. The soon-to-be husband and father says he’s put the experience in the rearview mirror, although his case will have to be reopened before he can move forward to obtain full citizenship. “I had never gone through something like that in my life,” Zamora said. “You start questioning your future. You start questioning a lot of things.” But Jon Feere, legal policy analyst at the Center for Immigration Studies, said he is less sympathetic toward Zamora's parents who overstayed their tourist visas. Enlargephoto by: Tamir Kalifa About 300 undocumented students currently attend the University of Texas. "It's not unreasonable for Americans to expect foreigners to respect our system of laws," Feere said. "Once that trust is broken, it is very difficult to rebuild, but returning home and attempting to enter legally in the future might be a good place to start." To avoid these situations, Feere said he thinks ICE should return undocumented immigrants home at the first opportunity. At the UT-Austin, International Student and Scholar Services provides support to students who are not U.S. citizens or permanent residents, including undocumented students, according to program coordinator Meghan Merchant. Immigration status is not a barrier to admission in public higher education in Texas, and students who meet the criteria for Texas residency are also eligible for in-state tuition rates and can apply for state financial aid. About 300 undocumented students currently attend the University of Texas, according to the school’s international office. Zamora’s deportation scare was unusual because he was such a well-rounded student, Gilman said. “He had so many equities in his favor — a smart young student, really wanted to contribute to the community — and yet he was dumped into deportation proceedings,” Gilman said. With a work permit under the DACA program, Zamora is now on track to become a U.S. citizen. At the moment, his case is administratively closed and will have to be reopened before he can gain citizenship. &nbsp; Zamora is currently the operations manager at CRT Flooring in Austin and is just a few classes shy of earning his degree, but he hopes to eventually finish school. He is set this month to marry his fiancée, a U.S. citizen who's been his best friend since middle school. They are expecting a baby boy, and Zamora said his son won’t grow up without knowing what his father went through to stay in this country. “I would tell him that he’s lucky to be born here and not to take it for granted,” Zamora said. "Try to remember what I went through for you to get here.” This story is part of The Texas Tribune's yearlong Bordering on Insecurity project. Disclosure: The University of Texas at Austin is a corporate sponsor of The Texas Tribune. A complete list of Tribune donors and sponsors can be viewed here. "Undocumented Student's Arrest a Cautionary Tale" was first published at by The Texas Tribune, a nonprofit, nonpartisan media organization that informs Texans — and engages with them — about public policy, politics, government and statewide issues. Link back to the original article, which is located at https://www.texastribune.org/2016/02/14/former-undocumented-ut-student-looks-back-legal-ba/.